The street that Casey's guide Ricardo lives on. 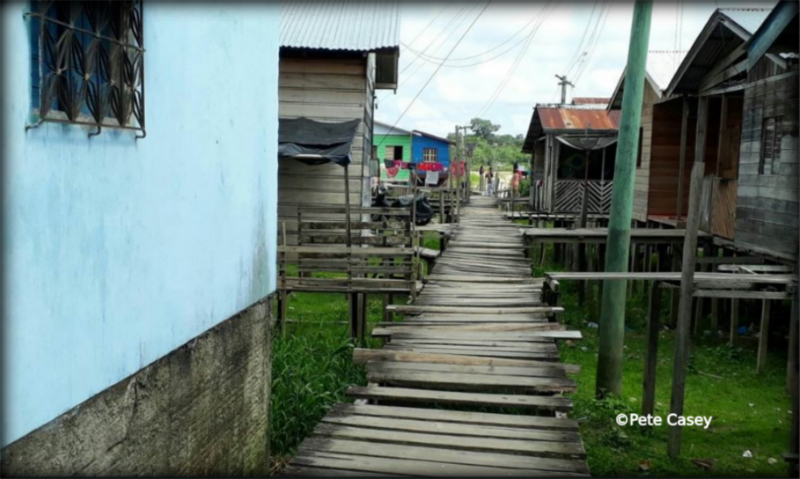 On the banks of the Yavari River, the village on stilts can get flooded, at which point Ricardo can fish from his window! Pete Casey is traveling up the length of the Amazon River using only human power. He started out from the Amazon’s runout in the Atlantic Ocean and plans to travel to the Pacific. 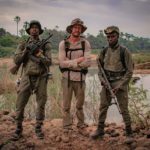 Casey finished crossing the last swath of Brazilian jungle with his guide, Diego – an adventure which involved getting invaded by swarms of honey bees. 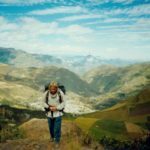 Then he crossed into Peru and met his new guide, Ricardo, who is from the banks of the Yavari River, the river that forms the border between Brazil and Peru. Casey’s next major milestone will be the next major Peruvian Amazon city, Iquitos. The plan is for Ricardo to help him cross the wild stretch of jungle up to Iquitos. 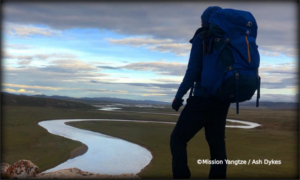 Click here for Ascent of the Amazon’s base page that explains the expedition, contains the latest news, the best photos, expedition links and previous updates. 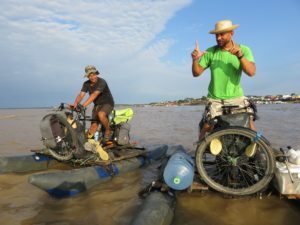 Biking the Amazon – Part 10 Belém – but it’s not over yet! 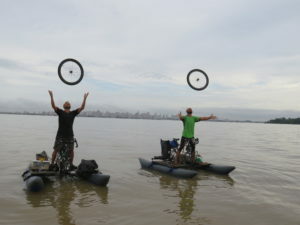 Biking the Amazon – Mighty river shows its strength – will they prevail?